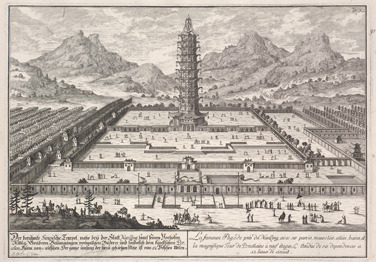 The Porcelain Tower (or Porcelain Pagoda) of Nanjing (Chinese: 南京陶塔; pinyin: Nánjīng Táotǎ), also known as Bao'ensi (meaning "Temple of Gratitude"; Chinese: 大报恩寺, Da Bao'en Si), is a historical site located on the south bank of the Yangtze in Nanjing, China. It was a pagoda constructed in the 15th century during the Ming Dynasty, but was mostly destroyed in the 19th century during the course of the Taiping rebellion. The tower is now under reconstruction. The Porcelain Tower of Nanjing does not exist now but it was located on the south bank of the Yangtze. It means the “Temple of Gratitude”, also known as Bao’ensi, it was constructed as a Buddhist pagoda, that’s the reason for it’s also known as Porcelain Pagoda, but around 19th century it was mostly destroyed during the Taiping rebellion. However now is under reconstruction once again. This amazing tower that radiated sunrays and functioned as a center of pilgrimage stands tall among world wonders. 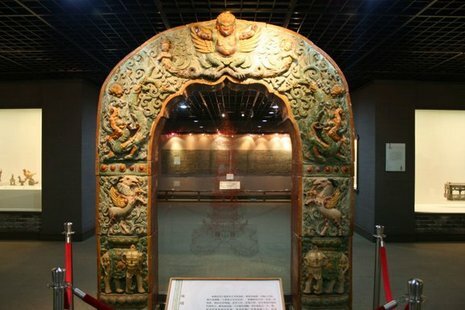 It was constructed by the Chinese Emperor Yung Le around 15th century. With 260 feet high octagonal in shape with 97 feet in diameter, the tower was the largest building in China at the time of its construction. It was existed up to the middle of the 19th century.